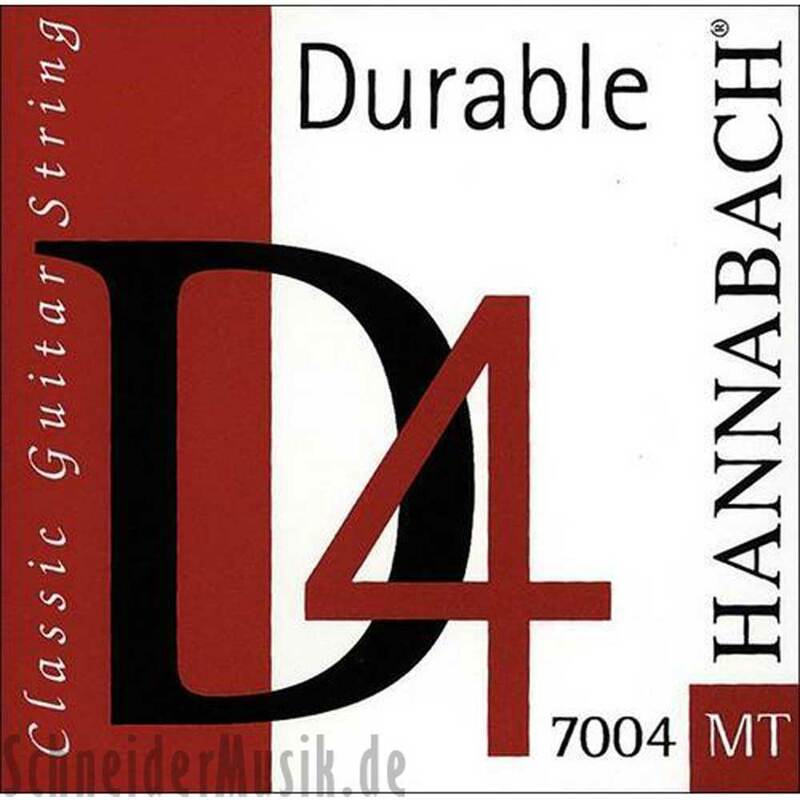 Series 7004 Durable D4 classical guitar string, designed for the professional guitarrist. Made of a highly resistant alloy (which even resist the perspiration of the hand). The Durable D4 fits in harmoniously, in terms of quality and tension, to the broad spectrum of HANNABACH handmade strings.